Preset Tech provides IT Consulting and Managed Services to take the hassle and burden out of managing IT. 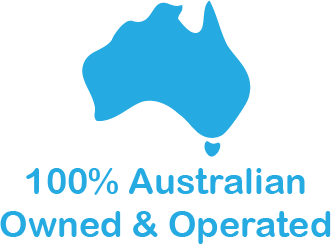 Preset Tech is a technology company in Brisbane, Australia, which focuses on the design, implementation and support across IT Infrastructure. Preset Tech can provide consulting, maintenance and support services across your existing, proposed or future state of the IT Infrastructure for your company. Working with the best technologies, Preset Tech is proud to support businesses across the country in making their IT Simple, Affordable, and most of all beneficial to their business. Are you getting the best value for money from your current IT Solutions Provider? Do you need an IT provider you can trust who can take your environment and truly own it? Preset Tech offers a range of managed services to suit all budgets, and we can conduct free audits of your existing environment to make sure you’re not exposed to any risks that may hurt your business. Does your business need help deciding on or implementing a solution? Preset Tech with our in-house team of technical experts can help guide your business in designing, implementing and managing solutions to meet your needs. If you want professional, understanding and friendly consulting services, then Preset Tech is the IT Consulting partner for you. If you’re running aging infrastructure that needs a refresh, feel that you’re paying too much for third party hosting, or are interested in exploring your options in the Cloud space, then Preset Tech can work with you to establish a path for your business to transition to Cloud native, or Cloud hybrid. Whilst we prefer working with the AWS platform, we are also cloud agnostic. Preset Tech can help you plan your way to the Cloud – no matter which provider you use. If you have an idea, need a product designed, or require maintenance on an existing product that someone else has worked on, then Preset Tech can provide development resources to assist you in getting that work done. We’ve got years of experience in software development, across several different technologies – ranging from PHP through to .NET Platforms.